a showcase of our custom designed products. Priority 1 Design specialize in all facets of custom Electronic Design and manufacture. 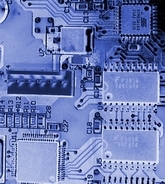 and surface mount components and multilayer PCB design. analog, digital, and microprocessor circuit designs. After sales support and consultancy. a general consultancy service is available. and bring their products to market sooner. Enter our on-line shop to purchase our specialty products. users to quickly and cheaply incorporate RFID technology into their products. OEM RFID reader modules and RFID reader writer modules. RFID Keytag's. EM4100 and T5557 compatible. RFID cards (Proximity Cards) EM4100 compatible. RFID reader I.C. 's (U2270B, EM4095).